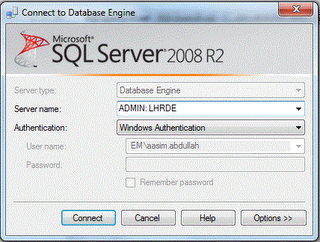 Microsoft SQL Server allows its users to keep behavior of a database compatible to its older versions. Like, if someone is using “*=” type of left outer joins in some quires/Stored Procedures as she created it for SQL Server 2000. Though such join are not allowed in SQL Server 2005 and subsequent versions but one still can keep database behavior as SQL Server 2000 by keeping its compatibility level to 80. Recently, a client reported that someone (DBA or Application) is changing his database compatibility, which should remain compatible to SQL Server 2000 (compatibility level 80). He wants to know at what time this change is being made. SQL Server 2008 and subsequent versions keep record of this compatibility change to its log, but SQL Server 2005 has no such facility. It means, in SQL Server 2005, you never know when someone has changed compatibility level. In SQL Server 2008 and subsequent versions one can change compatibility level of a database by following simple TSql statement. But in SQL Server 2005, only method to change this compatability level is its system stored procedure i.e. sys.sp_dbcmptlevel. SQL Profiler is the only place where you can trace when this stored proecdure was executed. But what if, we need to place an alert for this change and generate a mail for this change. Or what if, we need to stop users/applications to change a database compatability level. Only way to achieve this functionality is, to update system stored procedure sp_dbcmptlevel. Lets perform this task, step by step. Step 2: Login using DAC (Dadicated Administrative Connection). For this right click on SQL Server 2005 service, on Advanced tab, change startup parameters by adding -m; at existing values. Step 7: It’s the time to update our system stored procedure i.e. sp_dbcmptlevel. If you need to keep only comptability level to 80 or 90 then change following lines of stored procedures with same values i.e.80 or 90 or as per your choice. And if you also need to add a mail alert for this change then add following code in error control portion of stored procedure. Step 9: Close SSMS session, stop SQL Server services and change its startup parameters back to normal. Step 10: Start SQL Server Services and you are done.